Whey isolate: highly-refined form of whey protein and up to 90% pure. 6.5g PhaseTech™ BCAA: naturally occurring in our protein, they help build and repair new muscle.1 Our beadlets are powered by PhaseTech™ technology. 5g PhaseTech™ L-glutamine: naturally occurring in our protein — helping to build and repair new muscle,1 and also supported with our exclusive PhaseTech™ L-glutamine. 3g PhaseTech™ L-leucine: supported by our sustained-release technology, leucine is an essential amino acid that must come from your diet. MyZyme®: an expertly developed blend of enzymes that break proteins into their amino acids. 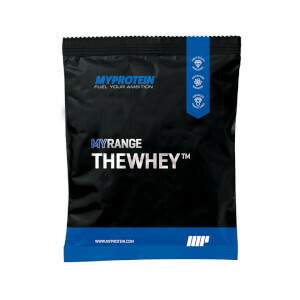 When to take THE Whey+? We recommend taking one sachet in water or milk 30-60 minutes post-workout to gain the maximum benefits. Or, take it in the morning to get a sustained dose of BCAAs throughout your day and keep topped up on protein. 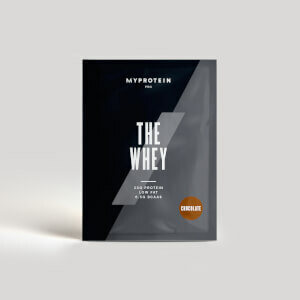 What does THE Whey+ work well with? Whey Protein Isolate (Milk, Soy), GroPlex™ (Hydrolysed Whey Protein, Micellar Casein) (Milk, Soy), Cocoa Powder, Flavouring (Maltodextrin, Triacetin, Gum Acacia, Flavouring substances, Natural Flavouring substances), PhaseTech™ Beadlets (BCAA (Leucine, Isoleucine, Valine), L-Leucine, L-Glutamine (Sodium Bicarbonate, Anti-Caking Agents (Talc, Silica, Magnesium Stearate, Ethyl Cellulose), Vegetable Oil, Purified Water, Acid (Citric Acid), Glazing Agent (Amino Methacrylate Copolymer, Isopropyl Alcohol, Methylene Dichloride), Thickening Agent (Hydroxypropylmethylcellulose), Maize Starch, Colour (E102, E129)), Xanthan Gum, Sweetener (Sucralose), MyZyme™ (Enzyme Blend; Protease, Amylase, Lactase, Cellulase, Lipase). 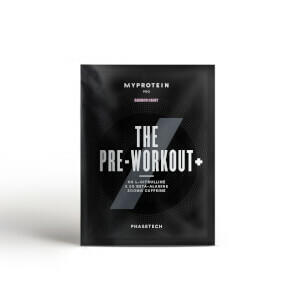 Whey Protein Isolate (Milk, Soy), GroPlex™(Hydrolysed Whey Protein, Micellar Casein) (Milk, Soy), Flavouring (Maltodextrin, Flavourings, Colour (Beetroot Red), Sweetener (Sucralose), PhaseTech™ Beadlets (BCAA (Leucine, Isoleucine, Valine), L-Leucine, L-Glutamine (Sodium Bicarbonate, Anti-Caking Agents (Talc, Silica, Magnesium Stearate, Ethyl Cellulose), Vegetable Oil, Purified Water, Acid (Citric Acid), Glazing Agent (Amino Methacrylate Copolymer, Isopropyl Alcohol, Methylene Dichloride), Thickening Agent (Hydroxypropylmethylcellulose), Maize Starch, Colour (E102, E129)), Xanthan Gum, MyZyme™ (Enzyme Blend; Protease, Amylase, Lactase, Cellulase, Lipase). Whey Protein Isolate (Milk, Soy), GroPlex™ (Hydrolysed Whey Protein, Micellar Casein) (Milk, Soy), Flavouring (Maltodextrin, Flavouring Substances, Starch sodium octenyl succinate, Sweetener (Sucralose), PhaseTech™ Beadlets (BCAA (Leucine, Isoleucine, Valine), L-Leucine, L-Glutamine (Sodium Bicarbonate, Anti-Caking Agents (Talc, Silica, Magnesium Stearate, Ethyl Cellulose), Vegetable Oil, Purified Water, Acid (Citric Acid), Glazing Agent (Amino Methacrylate Copolymer, Isopropyl Alcohol, Methylene Dichloride), Thickening Agent (Hydroxypropylmethylcellulose), Maize Starch, Colour (E102, E129)), Xanthan Gum, MyZyme™ (Enzyme Blend; Protease, Amylase, Lactase, Cellulase, Lipase). Nice protein. Tastes great and mixes well.